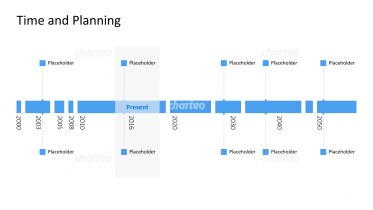 Visualize linear and chronological sequences and present time-related projects and developments with our timelines and roadmaps. 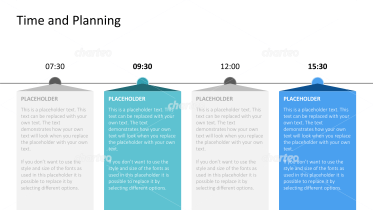 These templates can be used to display different time periods from individual segments of a day to weeks, months and even years. 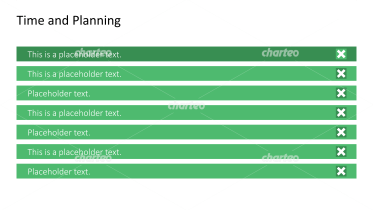 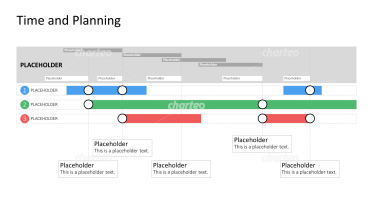 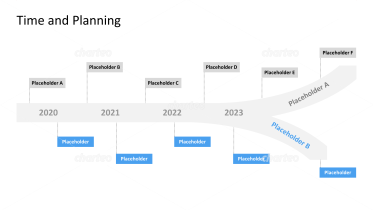 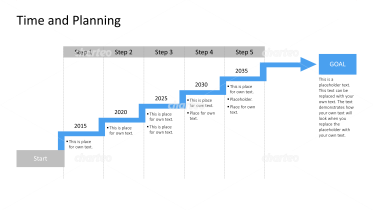 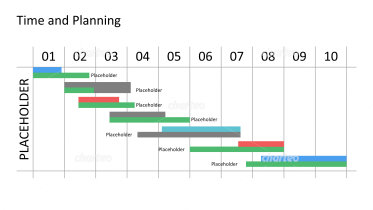 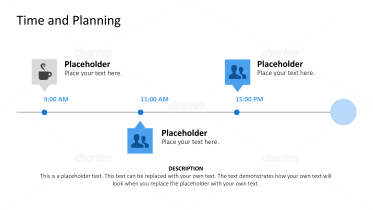 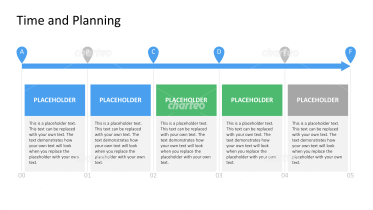 With timelines and Gantt diagrams, every step of a project can be clearly represented. 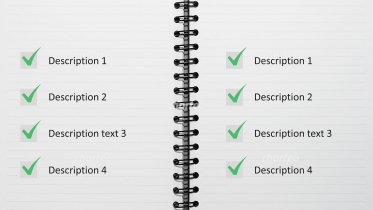 You can define periods, enter process steps, specify project goals, and measure progress. 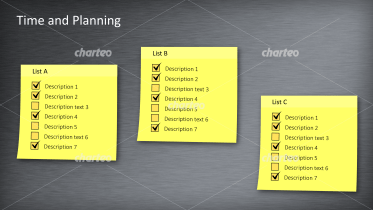 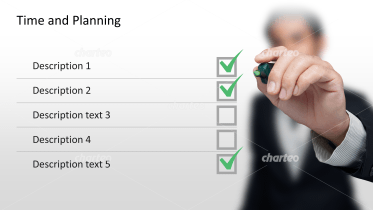 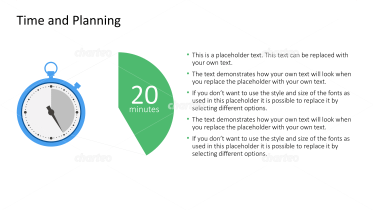 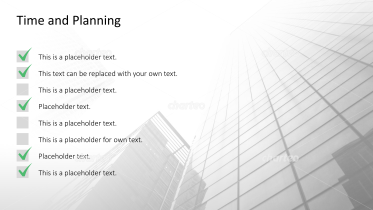 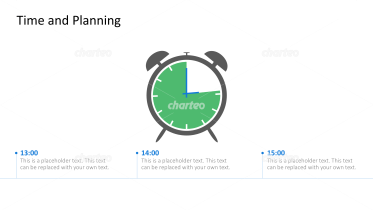 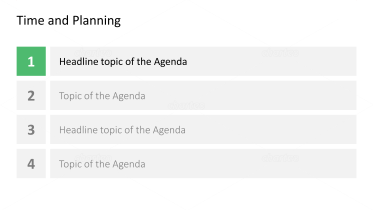 Use schedule templates to organize successive or simultaneous tasks. 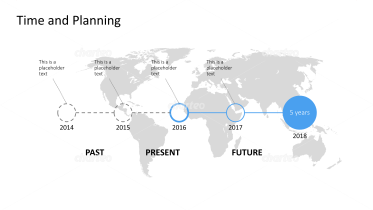 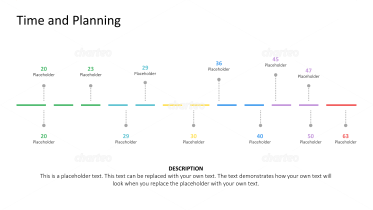 Roadmaps can chart the company's history, or timelines can be used to create itineraries or display the objectives of long-term projects. 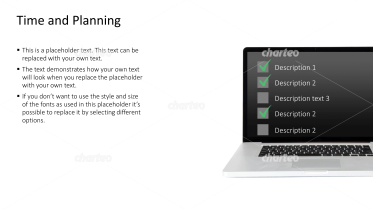 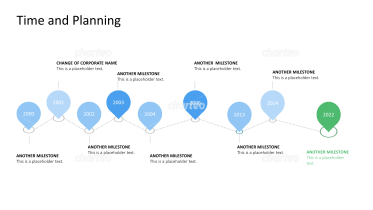 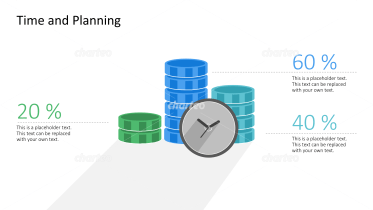 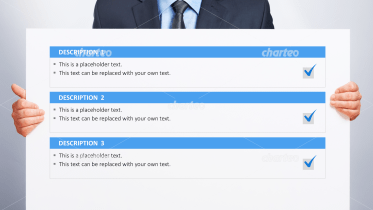 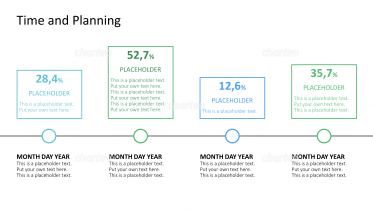 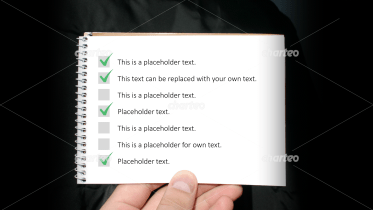 Create a visual of your business’s past or future activities and milestones. 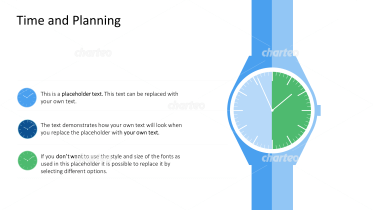 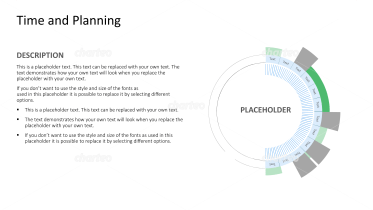 In this category, you will also find graphic representations of watches, hourglasses, stopwatches or calendars. 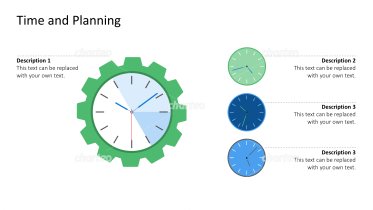 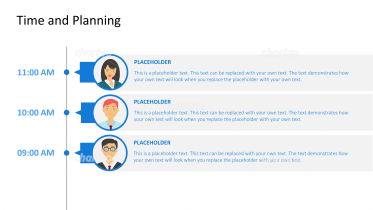 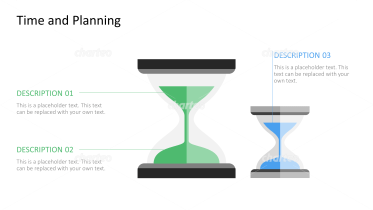 These universally recognized symbols can be used to illustrate terms and topics such as time constraint, deadline, time measurement, transience, development or planning. 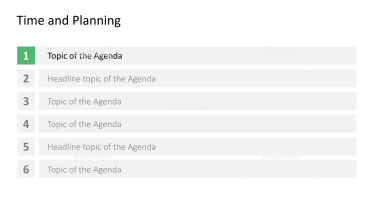 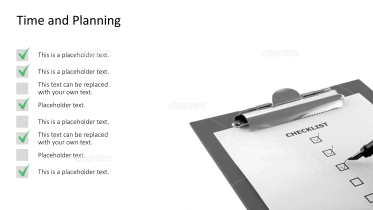 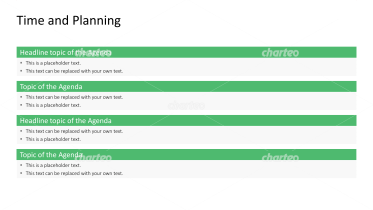 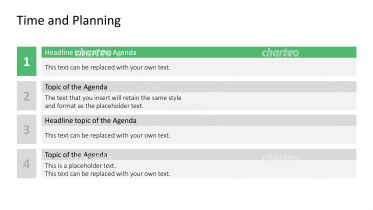 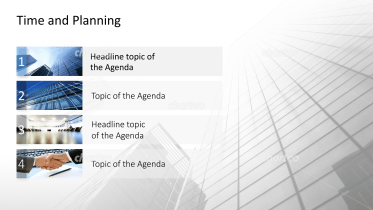 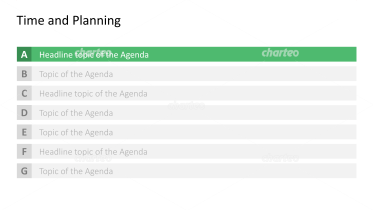 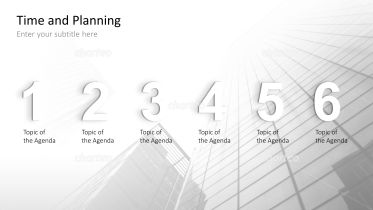 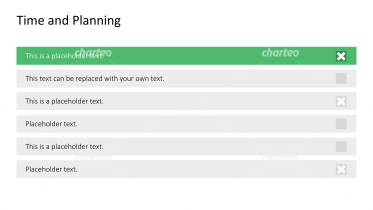 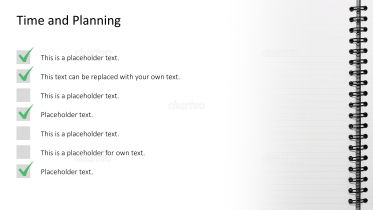 Use our calendar graphics and agenda templates to plan your appointments and tasks. 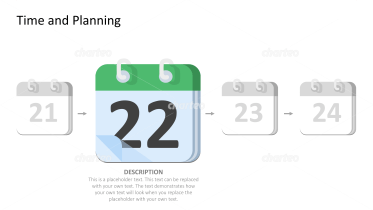 Create professional schedules for internal and external company events, or to help keep an overview of your quarterly or yearly scheduling.